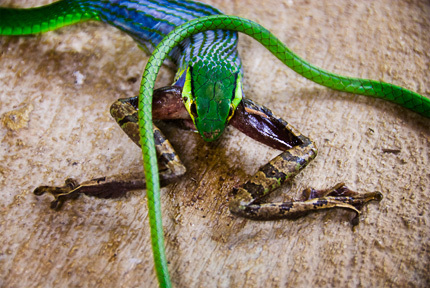 This is simply a colourful parrot snake enjoying a French delicacy of frog legs. Wanna see another cool snake picture? Try out the two headed albino snake!